2:01 out +1 -gave it all the room I could; now, can the bears break it down? 9:20 On the MTRainbow chart, the white 440 minute EXMA is up, near 906. That should be support. 5/29/2009 10:12:33 AM MT TG****:: I see a nicely formed reverse H&S at yesterday's low. 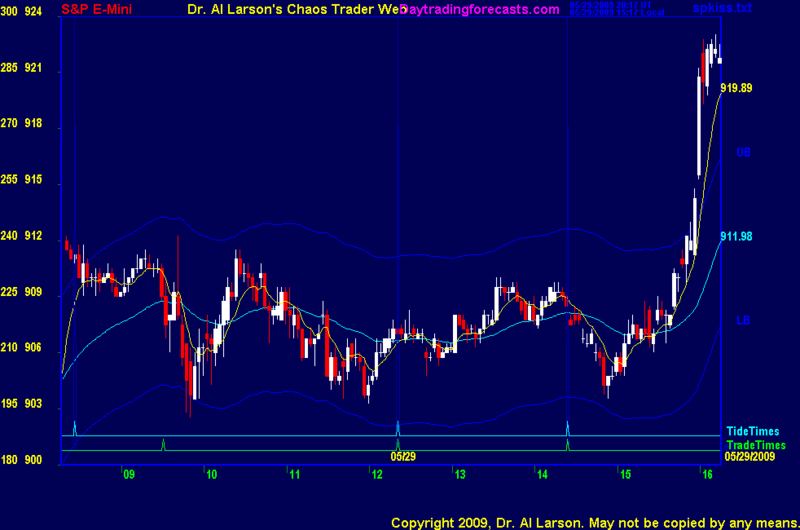 Minimum target would be in the 916.5-918 range. A FOP from yesterday's low to the next high on red tide near 916 looks like a pretty good fit thus far.